DFS players, this one’s for you. 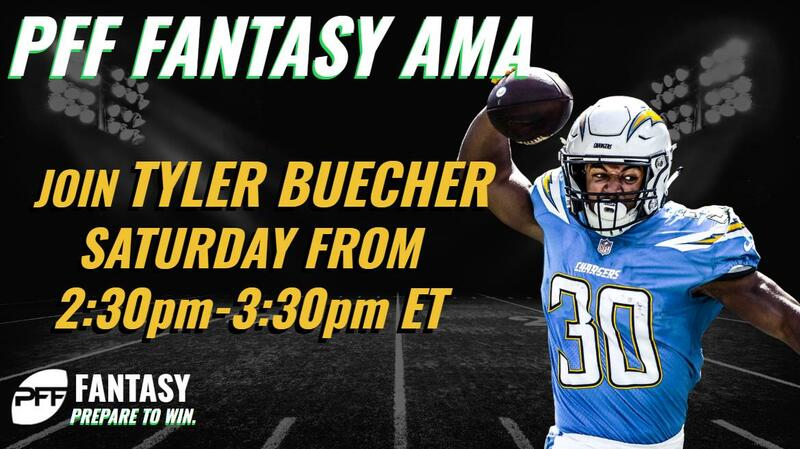 Join PFF Fantasy writer Tyler Buecher Saturday 2:30-3:30 p.m. ET for a live fantasy AMA with a DFS focus for Week 7 of the NFL season. Tyler’s one of the best DFS players in the business, so bring all your questions for lineups, stacks, contrarian plays and whatever else you can think of.